Apple’s latest iPhones, the iPhone XS and the iPhone XS Max are available for pre-booking starting on September 21 in India. 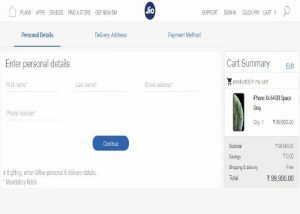 The latest iPhone can be pre-ordered from Reliance Jio official website Jio.com or MyJio app. You can Pre-Order from 21st September 2018 to 27th September 2018 via Jio.com. The new iPhone XS and XS Max comes in 64GB, 256GB and 512GB storage options. Both the new iPhones offer dual-SIM card support. Having said that only one physical SIM card slot is included. The second SIM is support via eSIM. Apple will roll out software support for eSIM later this year. Features HDR (photo/panorama); HDR, stereo sound rec. 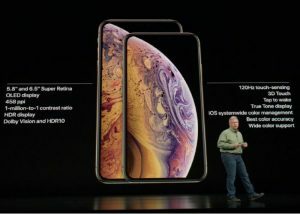 The price of the iPhone XS starts at rupees 99900 while the iPhone XS Max price starts at rupees 109900 in India and the price of the base variant with 64GB storage. 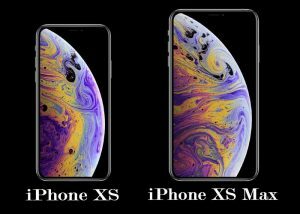 The 256GB model of the iPhone XS costs rupees 114900 and the iPhone XS Max costs rupees 124900. There is also a third variant with 512GB storage that costs rupees 134900 for the iPhone XS and rupees 144900 for the iPhone XS Max. The phones will be available for buying from September 28. 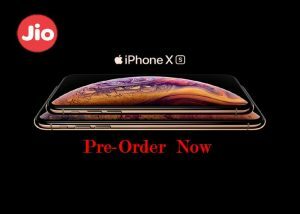 To pre-book the iPhone XS or the iPhone XS Max, simply head to Reliance’s Jio.com website and follow the steps. Visit Jio.com website or MyJio App. Select any of the available iPhone XS or iPhone XS Max variants. Select the desired Payment option and make payment, you can pay via credit card, debit card, net banking, JioMoney, Wallet or EMI. You will receive a pre-order confirmation notification (Email/SMS).